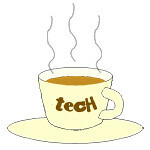 forecast « Tech bytes for tea? Going into 2013, it’s a good time to look ahead at what enterprises should look out for in terms of working securely this year. Let’s hear from Sugiarto Koh – Regional Director, ASEAN & North Asia, Sourcefire. Sugiarto Koh opines that advanced malware and targeted attacks pose the greatest challenge for today’s security infrastructure and methods of protection. Three major Enterprise IT trends that will continue to impact security. Customers are struggling to find solutions that provide effective protection against the latest threats without over-burdening their budgets or sacrificing operational efficiency. Below are Koh’s take on three major Enterprise IT trends and their implications. What are Dell’s foci for 2013. Transforming, Connecting, Informing and Protecting – says Ng Tian Beng, Managing Director, Dell South Asia & Korea. Based on feedback from his customers, Tian Beng highlights two common issues that keep them awake at night. Firstly, businesses are spending too much of their IT budget on powering their datacenter and not powering their business. Secondly, customers want solutions that are help them innovate rather than merely keep the lights on. Ng anticipates that, in 2013, the technology priorities of Dell’s customers along 4 key themes – Transform, Connect, Inform and Protect. Below are the details of the four themes.